It’s all matter of outlook, really. Our clinicians are clever dentists and hygienists with an uncompromising dedication to what they do. But they never lose sight of the fact that they’re treating people, not cases… and they love the fact that their work can literally transform lives. Here in St Albans we offer a full range of private dental care. You can come to us for a check-up or a filling… or trust us to address long-standing problems that other practices haven’t managed to resolve for you. 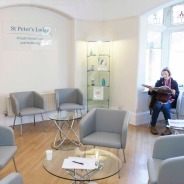 Whatever treatment you might need, we’ll treat you with the same professional, welcoming manner and talk you through every aspect of your treatment – so you stay in control throughout. Our patients tell us they love dealing with our relaxed, friendly team. Even the most nervous amongst them overcome that “Oh no, I’ve got to go to the dentist” feeling here at St Peter’s Lodge! 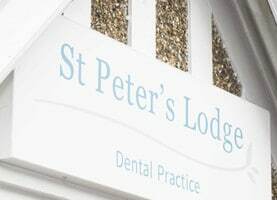 Here’s another way in which St Peter’s Lodge Dental stands out: here at our St Albans practice, we don’t just measure our success in terms of transforming the smiles of patients with a challenging dental history… satisfying as this always is! 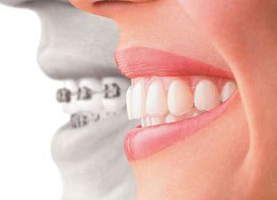 Preventative dentistry is a cornerstone of our approach. 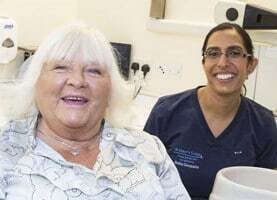 Our experienced dentists and hygienists will give you the regular advice you need to look after your own teeth and gums as effectively as possible – and we’ll always aim to spot any potential problems early, so you can conserve as much natural tooth tissue as possible and avoid more intrusive treatments. Looking for a St Albans dentist with opening hours that suit you? We want to make it easy for you to take advantage of our services, so we’re available at times that fit in with your schedule. Early morning and late evening appointments are available so you can come and see us whenever you need to.